Images...velvet, sinking, sensation. There is all and this grandeur and then there are pinpricks of vision. Temple, tent, grove, sea. I am in each place by turns, caught in this web of sensation, unable to move much but just to absorb and just to be. Stillness, arms raised, sky so far, and earth so close, and then stars around me and then earth so far. And earth skimming away almost as if I have taken flight in this vortex and am being pulled along and into - this rush of sound and everything so loud and cacophonous. There is this red tent - there is the ancient and this primal. And there is this swirling - so many dancers and ornate skirts adorned with tiny wooden castanets and dancing tambourines and ribbons. Scarves and skirts whirling in the night, gossamer and catching the shimmer of light and play of color - flames dancing and giving a shape not quite human. Shadows distorted and taller than usual, slimmer and with more willow like form. And there is blood running down my legs and nothing to stem its flow - my moon blood. It is ancient and it is all the ages and it is all of life and it is sustaining. I raise up empowered and emboldened. I am the mother but the mother is all. I will create and I am the bridge of the spirit and body. I am the medium that will take spirit inside my own and create this body and this earth. Only goddess may be such - only goddess can be this channel. My moon blood dripping onto the earth below and feeding and nourishing. Then I sink to the ground with it, and feel this dimness pervade, and my body let go and letting the mother hold me and the earth be my pillow and my bed. And now I am earth again but mother is earth and so tangible and so wet and so dusty and so gritty and so soft. And then simmering and this quiet and this altar and this beauty. Earth, tree, leaves. Now so close - each vein of each leaf. Tiny maps to infinite places. Each shortened step I take in these slippers of grass and delicate flowers and all this other silence. A silence that holds sound. Is that possible? Maybe it's more the intricate quiet I feel in this grove. These leaves that rustle and these branches that reach like quiet white barked arms in the darkness. Their form is rootless and their reach is infinite. They create this artwork and this lattice without exact pattern and this shelter with openings to beyond. Stark white and black tracings - these branches dance but gently in the soft night breezes. Dancing slowly but surely and dancing more obviously and this net of safety shaking and trembling and rising up. And the wind carries me again, farther and over and the present things recede and once again more is in my vision. Pinpricks of things that float so clearly into view and then recede just as rapidly - the altar. The flame. I can see it burning. Dancing - destruction and creation all in that tiny light. I can see all the elements together now created by Mother. Her reach is everywhere, to my deepest self and more that I cannot even fathom. I can see earth and air and fire and now there is water. The sea. The sea. I am so far from it, on a toppy crag. So far above, this cliff, rugged and gray. The sky so gray with it. Spray - salty spray. I am only as the elements - naked and unashamed - clothes and scarves and skirts have faded away and I am vulnerable to all the earth and the Mother and I am at one with her and yet submitted to her entire being. Salty spray - cold and with a texture all its own. It trickles down my face and drips onto my breasts and my knees and onto my toes and I am standing in this coolness. My tears? Or the ocean? The ocean, the lull, the sound, the waves, the rippling, the undulation and the lack of fixed space. How will I descend that cliff? I will float, not on feet, not on earth, but on air, and no motion of my own seems to carry me lower and lower to the edge of that warm and moving water. The sea, it beckons and it calls and I am powerless to stop my path towards it. Now sandy, now briny, now feet wet and there I am, in this warm salty water, earth again but water more. Giving myself up, arms raised, naked and just as I came to this world but now with the marks of all life changing my art. To the sea, to the mother, relinquishment, trust, becoming one again with once what I was. Sinking, losing form, human no more. Rather a bit of sand, and salty sea and sky as well. I can't see anymore but to feel it all. To feel so much as to be everything - to be all land and all water and all trees and then again nothing at all. Inky darkness settles in around me, so deeply I can almost taste it. With that settling comes an apprehension that seems to rise like so many mists in dark trailing spirals. I close my eyes and feel cool breezes tugging at me and slowly I cross my arms over my heart. My body seems to be rocking and swaying and as I open my eyes ever so little, I realize I am in a rough wooden row boat crudely constructed of beams and planks. I rest my hand against the side and feel the threatening of splinters and pain. The boat pitches and rises in that moment and I feel my stomach lurch with it. Waves lap at the sides of the boat and I am now aware of a scratching at the sides. My heart clenches in fear of the unknown. I bravely raise my eyes from the bottom of the rough hewn boat and notice how dark it truly is. I know there is water all around me but it is hard to see much beyond the murky shadows. I turn my head to the right and notice far in the distance, the steady light of the moon shines. I find myself drawn to her light and my gaze refuses to break with hers. Shining, shining and as I gaze, I realize the light seems so much stronger than this darkness. Still prickles of fear touch at my skin and I glance around me again finding the moonlight shimmers ever so slightly on the black waters. There are no stars. Only that steady beam. And as I follow the beam out again, I notice I am not far from shore. Indeed I seem to be traveling towards the blackened edge of this body of water. I watch it come closer and closer, still aware of those clawing sounds, still afraid to leave this tiny place of seeming refuge, this rough and painfully constructed boat. I feel a sharp tug and then my boat seems to stand still. The scratching stops and the small waves seem to beckon with their gentle sounds. I tentatively reach a hand out of the boat and feel the water, almost warm to my fingertips. I realize I am meant to go ashore and I stand carefully finding my balance in the unstable boat. One step and then another, and I am knee deep in this strange dark water. I slosh ashore and gratefully find the rocky solidness under my feet a comfort. I glance again at the moon and realize there is some sort of path before me. The way is faint and littered with tiny sharp shards of rock. I am bare foot, I realize and I know the way will bruise and scar my feet. Still, I take one step, and then another and suddenly I start to realize there is a beautiful white wolf at my side. I glance into her eyes which seem lit from inside. They are pools of deep blue in this moonlit night. She simply stares back into my own eyes and I sense she is there to guide me. Indeed I hear this calming melodious tone that comforts me even though her mouth has not moved. I place my hand on her smooth fur that reflects the moonlight perfectly. She almost glows and we begin again this path that seems to pull me forward so intuitively. And now I am aware of something dark and shadowy to my left. I am almost afraid to look. But when I do, it is the darkened form of a dog. Her eyes glow yellow and I start at their reflection of my fear. I push closer to the wolf, having found a comfort there. But the dog means me no harm. I watch as she clings to the shadows and ever so slightly behind me. And we continue on, this strange trio in the moonlight. One step and then another and now I realize there are shadowy mists have started curling and swaying and spiraling around me. I watch in fascination until one of the mists seems to grow eyes. I jump and my heart races. Still another gains a hand and then a foot seems to trip me as I stumble forward in the dark. Suddenly it seems we are surrounded by these ghostly creatures and the light of the moon seems more faint thru their gossamer flight. I push on, my heart pounding, my feet bleeding and aching. It seems this is a journey of madness and I am only traveling closer to my undoing. I wonder if the path will ever end as it seems I have not traveled any closer to my destination. And I wonder what my destination is. My mind seems muddled and disturbed. Just when I fear I cannot take another step, I find myself in front of the face of the moon. Her eyes are watching and still and her mouth curves in silent observation. She speaks much without any words to hear. Still my heart feels a comfort and I reach my hand to touch yellowish white beauty and feel the light cool under my fingertips. Then in one screeching moment, I realize I have lost all ability to perceive anything sensory. My heart races but I can't feel it. My eyes are sightless and all is dark. My ears hear nothing and I am only aware of the vacuum I suddenly find myself in. All is black and I stand on nothing but darkness. I begin to panic. I raise my hands to cover my ears but I don't feel my arms moving. Everything is deafening in the utter silence and lack of feeling. And then I hear the words, Look within...and I lower my head and look deep into my belly. My head is bowed to my chest and I notice inside of my naval a picture begins to grow, of green fields and verdant trees and a bright and golden path which starts with the sun upon it and warmth that I can feel even as I observe. I am at once aware of this darkness in which I stand and the deep glowing that comes from my belly. They stand in stark contrast. I fully look up and again I am assaulted by this utter blackness and terror and sensory deprivation. Quickly I bow my head again to look inside of my belly and I know that I must look this way to see how to walk. I realize I am now stepping this path and I am aware of both realities, the one above my head and the one inside myself. "The path lies inside of you. The path lies inside of you, the path lies inside of you." These words fill my soul and emanate thru my entire being, reverberating and echoing and vibrating until it is all I am aware of. 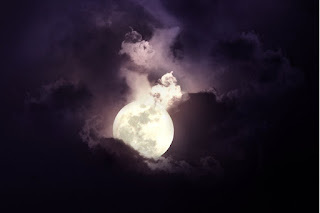 Racing away and I see the image pull from me as if it were a vortex swirling and I was the center, away away, and now I am laying here again, clutching the moon card to my quaking chest.